If you enjoy psychology and the writing style of Freakonomics and Super Crunchers, then you will love this book. 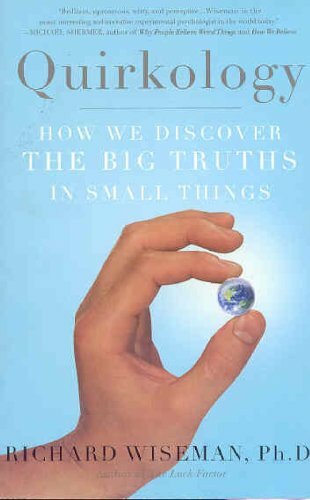 Quirkology: How We Discover the Big Truths in Small Things by Richard Wiseman is a fun book that explored finding out the answers to quirky things about human behavior. Can your birth month predict how lucky you will be? Does walking speed differ from country to country? What causes some people to sense ghostly presences? All these questions and many more get answered. This is a really good book. Check it out. Previous The Lovely Ladies of Texas?